There are also your basic capabilities- cropping, resizing, retouching, text, etc. 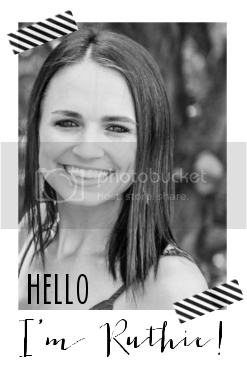 Things I like about PicMonkey are the overlays and the little icons you can add to your picture. 2. iPiccy- again, very similar to Picnik but not as colorful and intuitive as PicMonkey. The interface looks almost identical to Picnik but the capabilities/effects are labeled in such a "cartoony" way so you have to guess what your photo would look like. A cool thing about iPiccy is the layering tool. I am not sure if Picnik had that or not but I've never used it in Picnik. Also, there is an eraser and pen tool like Photoshop which is nice. 3. Pixlr- there are 2 options to this website. One is just a photo effects tool which is kind of like Instagram and the other is a full fledged Photoshop type tool. The interface looks exactly like Photoshop and you can even create an image from scratch (I used to have to upload a screenshot of a white page to create my own image in Picnik). This is a very cool site but the photo editor is a little confusing and not intuitive like Picnik is. Pixlr Express is another tool that is a a lot easier but with less functions. They do have neat border options. Google+ Creative Kit - looks pretty lame. I am anxious to see if Google will just ramp up the Picnik capabilities and release it? That is my hope! Have y'all found any great alternatives to Picnik? Free or low cost sites that is. Photoshop is just time consuming and hard! It's awesome that you did the research and posted this! I've seen so many bloggers asking what they should do after picnik closes. I'll send 'em your way! I, too, was sad to hear Picnik was closing. I went over to PicMonkey and find it very user friendly. I attempted Aviary, but didn't have time to try to figure it out. I may stay with PicMonkey unless Picnik resurfaces somewhere else. Thanks for the post! Most of the time I use Pixlr or Picasa but I've been hearing about PicMonkey, so I'm going to check it out! i can't even begin to tell you how happy i am that you posted this. i have been so sad about picnik closing that i'd given up hope on other programs because picnik was so easy. but i tried picmonkey the other day and i think it will do as picnik's replacement. for now. I cannot believe Picnik is closing either, girl! I use it just about everyday! I now have a new Windows phone (Nokia Lumia...which I LOVE) and it has a thing called "Creative Studio" on it. It's pretty cool, and I have been doing a LOT of photo editing from the phone. I need to find a nice computer program for editing pics from my DSLR though! These are awesome Ruthie! Thank you! I downloaded Picasa which has been working.. and also you can edit photos in Photobucket (not as well as picnik, but still works) .. Im not sure if Picasa will go away since it goes with Picnik. I hope not! boo! I just discovered PicMonkey and am loving it. Super easy, unlike Photoshop that I don't think I will ever understand. Thanks for sharing the others too...I am going to have to check them out. I don't use photo editors near as often as I should, but I'm going to be so lost without Picnick! Okay, can I just say that you are my FAVORITE person today?!?! I use Picnik religiously and have been so so sad they are closing down. I wasn't aware of any of these others sites, so THANK YOU for taking the time to share this!! :) You are awesome. I use Pixlr. Once you get the hang of it, it's pretty simple and really does come in handy for those random fixes! This is a great post. Thank you for the suggestions I now can figure out which I can start using. But there better be a wrinkle reducer tool! this post is so helpful to me. I remember 1st hearing picnik is closing, but I thought "Oh, April 19 is SO far away" and now its um, TOMORROW. EEk. Sad day indeed. i am so sad about picnik! thanks for the new suggestions though! i've been trying to find a new place to edit my photos! Weird, I was just thinking about how Picnik is closing, and it just so happens to be today that it's the case. I really liked it, like you said, there was no guessing what your edited photo would be like. It was very user friendly to a person that doesn't get computers and software. It will be missed!